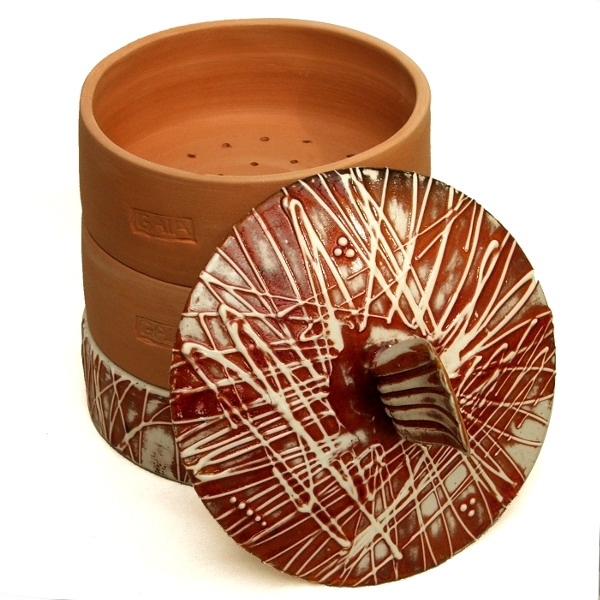 Katalin-GAIA ceramic sprouter - Red Ochre I. 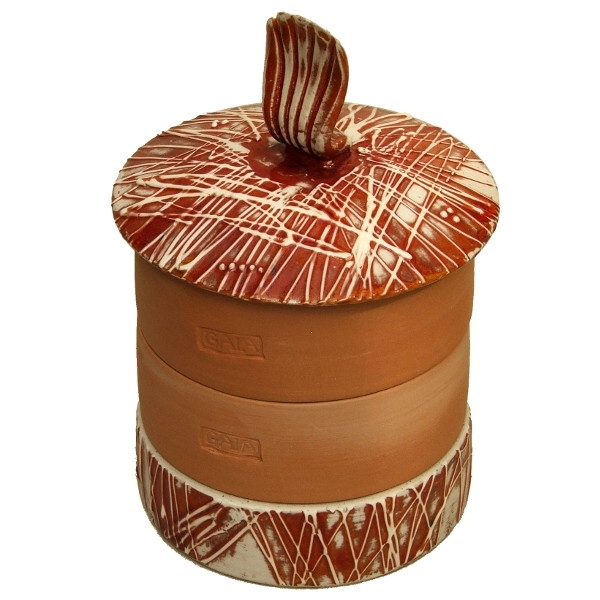 > SPROUTERS>ONE-OFFS>Katalin-GAIA Ceramic Sprouter - Red Ochre l.
Katalin-GAIA Ceramic Sprouter - Red Ochre l.
This is one-off sprouter from range of unique sprouters Katalin-GAIA. 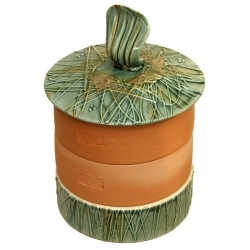 The combination of hardwearing waterproof stoneware used on beautifully decorated lid and base, and highly porous earthenware able to absorb and release moisture, creates this unique sprouter that would add a feel of luxury to your kitchen. 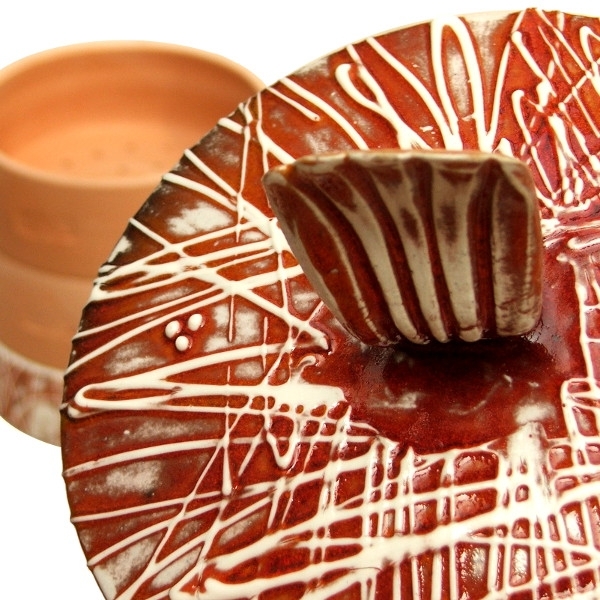 Katalin-GAIA sprouters were created as a fusion of art craft of Katalin Szallas - ceramics artist, and our handmade sprouting trays with the GAIA brand mark pressed on the side. 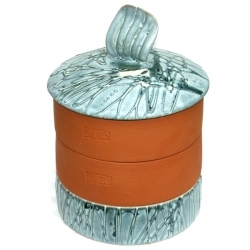 The GAIA Sprouter consists of 2 growing trays, base and lid. 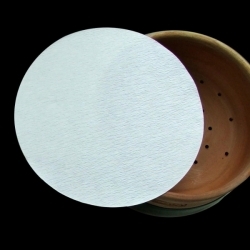 The GAIA Clay Sprouter is suitable for sprouting seeds, germinating beans and pulses and growing plant shoots, microgreens or grasses. 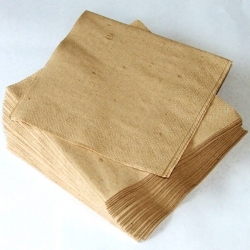 GAIA Clay Sprouters are hand-crafted and have the GAIA brand mark on the side of the sprouting tray. 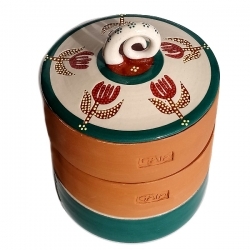 The clay is sourced directly from the place of crafting and glazes used for the lid and the base are lead free and certified non-toxic.